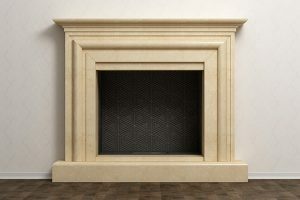 Fireplace Smell: How Do You Get Rid of It? Using your fireplace is great during the winter. It keeps your home warm while looking absolutely stunning. However, you might notice there’s an odd odor after a while. That begs the question, how do you get rid of that fireplace smell? The smell coming from your fireplace is completely avoidable. You’ll first need to diagnose the problem and then it’s probably an easy fix. 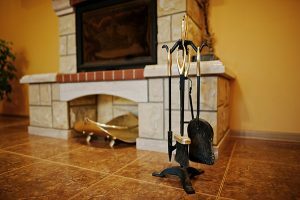 In this article, we’ll give you a few ideas on why your fireplace is starting to smell and how to fix them. As we mentioned, you can’t fix your fireplace smell without knowing why it smells. Most of the smells come into your home from drafts coming down your chimney. Sometimes, the odors are just from the outside. However, if the stench doesn’t go away, you may have a problem. To fix your smelly problem, you need to figure out why it stinks in the first place. We’ll go over a few of the most common reasons why you have fireplace smell below. Animals need to find shelter during the night, otherwise they’ll be in danger. Some smaller animals, like squirrels, may find themselves in your chimney. This can lead to the animal getting stuck in there and passing away. That’s a major cause for a smelly fireplace. Some birds also use your chimney as a nesting area. These birds are called chimney swifts and they’re illegal to move. Thankfully, they’re only there for a couple of weeks and you can clean your chimney afterwords. Bees might also end up being a problem in your chimney too. Not only will they make your fireplace smell, but they will also effect your allergies. In some areas, it’s illegal to exterminate bees so before acting, check the laws about bees. Each of these problems has a unique odor to look out for. If you have animals in your chimney, it’ll be the most unique smell. It could be a rotting odor or even the smell of animal dropping. Simply using your fireplace without maintaining it will cause it to smell. 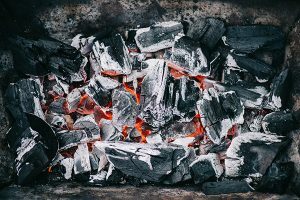 This is because soot and creosote line the walls of your chimney. As it sits, it begins to smell more and more which will give your home a charcoal-like stench. Not only does soot and creosote stink, but it’s very dangerous to have lining your chimney. It’s highly flammable and can cause a chimney fire. If your chimney isn’t properly prepared, snow and rain can have a major effect on the smell of your fireplace. This is because moisture will get trapped in your chimney, leaving a musty odor to your fireplace and home. When moisture sits, it can start to form mold which also has a pungent odor. It’s also dangerous to breathe in mold so if your fireplace smells musty, take care of it right away. When it’s fall, leaves begin to fall. Many homeowners think to clean their lawns and gutters, but neglect their chimney. This can lead to a very smelly problem. If leaves get caught in your chimney, they can block smoke’s escape from your home which will cause it to stink when you use your fireplace. Plus, it’s extremely unsafe and can lead to back puffing. Even if you aren’t using your fireplace, leaves can cause your fireplace to smell. They may also help cause moisture build up so the problem starts compounding on itself. That means, you can’t let leaves get into your chimney. If you have a rotting smell coming from your chimney, you know it’s leaves. How Do You Get Rid of Fireplace Smell? Now that you know why your fireplace smells, it’s time to fix the problem. While it might seem hopeless, making your fireplace smell fresh again isn’t too difficult. We have a few suggestion below that should help. The easiest way to remove fireplace smell is to have your chimney cleaned. Chimney sweeping should be done to remove leaves, soot and creosote and can save your home from fires and bad odors. How often should you have your chimney swept? We recommend that you have it done every 50 burns or when the soot is an 1/8″ deep. If you’re not sure whether or not your chimney needs a cleaning, you should consider getting a chimney inspection. Not only will a chimney cleaning remove any bad odors from your fireplace, but it’ll also prevent dangerous situations such as fires. Leaves, soot and creosote are all highly flammable and can ignite whenever you use your fireplace. Plus, build up can prevent smoke from exiting your home, forcing it to billow back inside. Since moisture is one of the major causes for fireplace smell, you’re going to want to prevent water from getting into your chimney. Waterproofing your chimney is a must, especially in Chicago where rain and snow are a formality. Water damage and mold caused by moisture can cause musty smells that are nauseating. They’re also very dangerous for your home and health so make sure you don’t have to deal with moisture problems in your chimney by getting it waterproofed. Drafts coming through your chimney are one of the main reasons you can smell all of these problems in the first place. However, they also bring outside smells into your home. Even if there’s no problem with your chimney, you may get a pungent odor from time to time. However, closing your fireplace damper when your fireplace isn’t in use will prevent drafts from getting into your home. Not only will this make your home more energy efficient, but it will also help keep your home smelling fresh. Just make sure to open it again before using your fireplace. If your fireplace damper is broken, you have a major problem on your hands. You need to make sure it’s repaired or replaced immediately to prevent any outside odors from getting into your home. 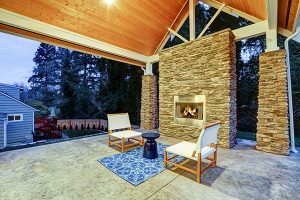 Much like fireplace dampers, a glass door would also help prevent drafts from bringing outside smells into your home. When your fireplace door is closed, it prevents drafts from getting into your home, keeping smells out and freshness in. Also, fireplace glass doors can be closed when you’re using your fireplace. This will prevent a smokey smell from getting into your home. That’s a very hard odor to get out and can stay in your furniture even through multiple cleanings. Things getting into your chimney is a huge problem contributing to fireplace smell. You need something to cover the opening so leaves, animals and bugs don’t get into your chimney. A chimney chase cover is the answer to your problems. They prevent anything from entering your chimney and keeping odors out of your home. 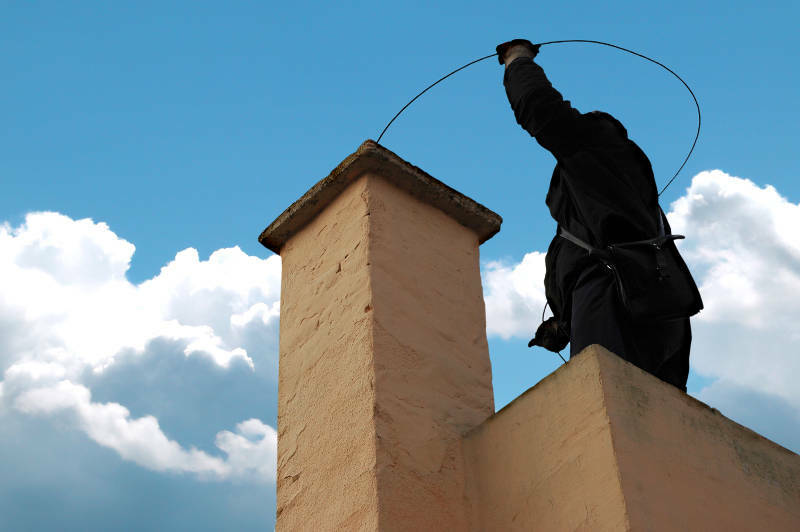 You need to make sure your chimney chase cover is in working order – replace or repair it if there are any problems. This is extremely important in preventing problems that you can’t fix easily such as bees or chimney swifts being in your chimney. With laws protecting them, you’ll want to prevent them from being able to get into your chimney in the first place. Nobody wants their fireplace to smell – it can ruin your entire home. While it may seem like all hope is lost, you can fix this problem relatively easily. You’ll first need to diagnose the problem so you can take the proper measurements in fixing it. 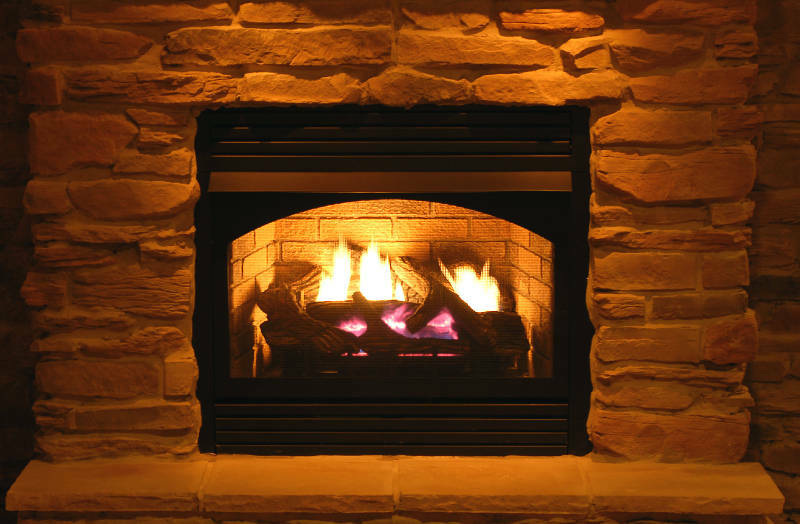 Chimney sweeping and fireplace dampers/glass doors are usually the perfect solution to fireplace smell. You can also prevent the problem from occurring with chimney chase covers. Whether it’s a cleaning or a damper, Early Times is here to help you with all of your fireplace and chimney needs. We’ve been making homes cleaner and safer for over 30 years and have been trusted by thousands of homeowners. Get a free quote now and we’ll help remove your fireplace smell.